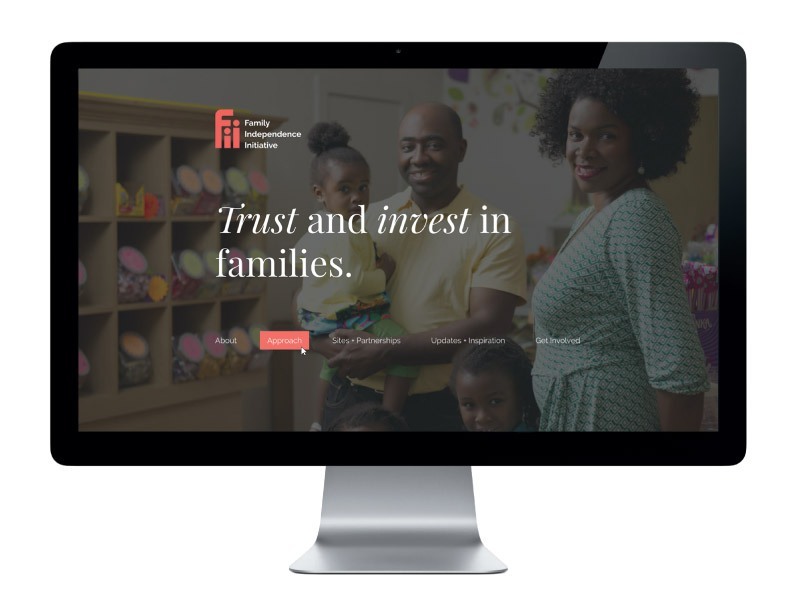 We designed and developed a new website for Family Independence Initiative (FII), a national non-profit organization that partners with families to make poverty escapable. Headquartered in California, with sites across the country, FII trusts and invests directly in low-income families so they can work individually and collectively to achieve prosperity. FII is not your typical non-profit. The FII model leverages technology and data to learn from and invest in low-income families. 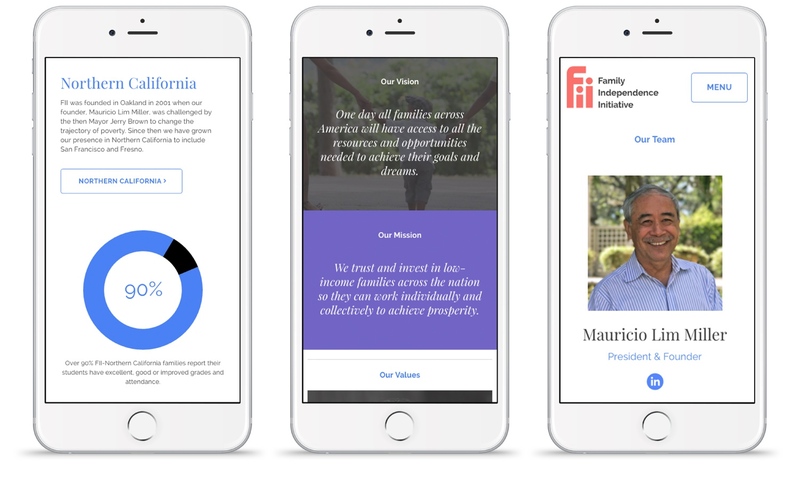 To highlight what make’s FII unique, we developed a custom website that unifies the technology and human aspects of FII, featuring creative data visualization while also celebrating stories from FII families. The website is highly editable and built in WordPress, allowing for FII staff to easily add content, new locations, stories, and update data in the dynamic charts throughout the website.